Through charming dialogue and warm illustrations, Little Lamb, Have You Any Wool? tells the story of a young child and his lamb preparing for the cold winter ahead. The little boy asks the lamb if he can use its wool to protect everything from his head to his toes from the coming frost. The lamb agrees, and the boy uses the soft wool to make himself a coat, a scarf, some socks, and everything else he needs. But then, he wonders, won't his newly shorn little lamb be cold? In the spirit of cooperation and caring friendship, the boy makes another set of winter clothes for the lamb. Now, they are both warm and ready to face winter together! 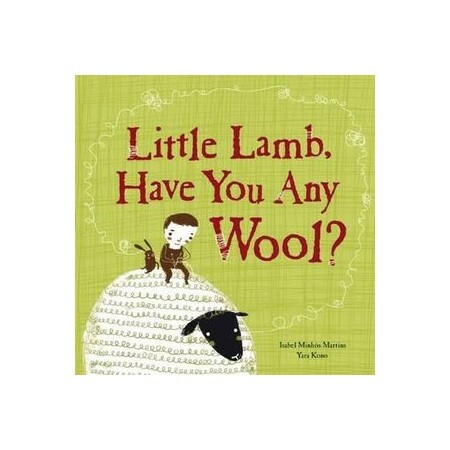 Young readers will delight in the saturated colors of the illustrations and the classic message of friendship communicated through the whimsical text of Little Lamb, Have You Any Wool?